Dental disease is one of the most common conditions diagnosed in pets over the age of three. Just like in humans, pet dental disease develops when plaque and tartar build up, causing inflammation in the gum tissue, tooth discoloration, pain, and infection. Bacteria from an infected mouth can also find its way into the bloodstream, where it can cause widespread damage throughout the body. Pets with untreated dental disease can lose anywhere from 1-3 years off their total lifespan – a significant percentage of a pet’s life. Caring for your pet’s oral hygiene with daily toothbrushing and regular dental care can help keep your pet from becoming another bad statistic. Professional dental exams and cleanings require anesthesia. This allows us to examine your pet’s entire mouth, probe each tooth, perform digital x-rays, and thoroughly descale and polish each tooth. Talk to your veterinarian ahead of time about pricing for various procedures so you won’t be blindsided by the bill. Although most pet insurance companies don’t cover the cost of routine dental care, some offer a wellness program for an additional fee, which usually includes dental cleanings and exams. Each month, put money into a savings account to help pay for your pet’s dental and medical care. 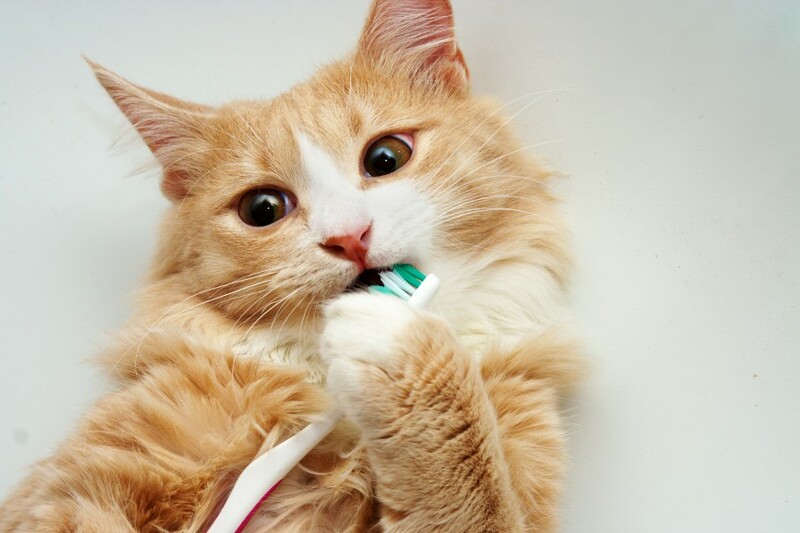 Brush your pet’s teeth every day! Preventive home care is the single best defense against dental disease. Plus, not having to pay for costly tooth extractions and other emergency dental care will save you money in the long run. The Pet Experts are here to help every step of the way as you strive to provide the best oral health care for your pet. We’re always happy to answer questions about at-home and professional pet dental care. Give us a call today, and ensure a bright, pearly white future for your pet!